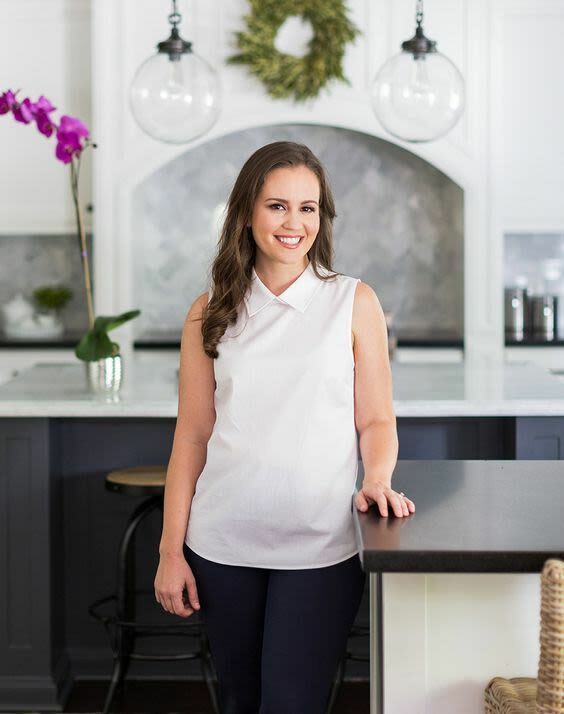 It's a good time to be Marie Flanigan, who, in addition to having a thriving interior design business in Houston, has a growing national reputation—she was named a 2015 rising star of design by Traditional Home magazine for her light and textured spaces. Flanigan was also recently tapped to serve as a Style Spotter at High Point Market, the largest show of furniture in the world. "It was so fun. It's a different perspective—you go in looking for the new trends, what are people wanting. 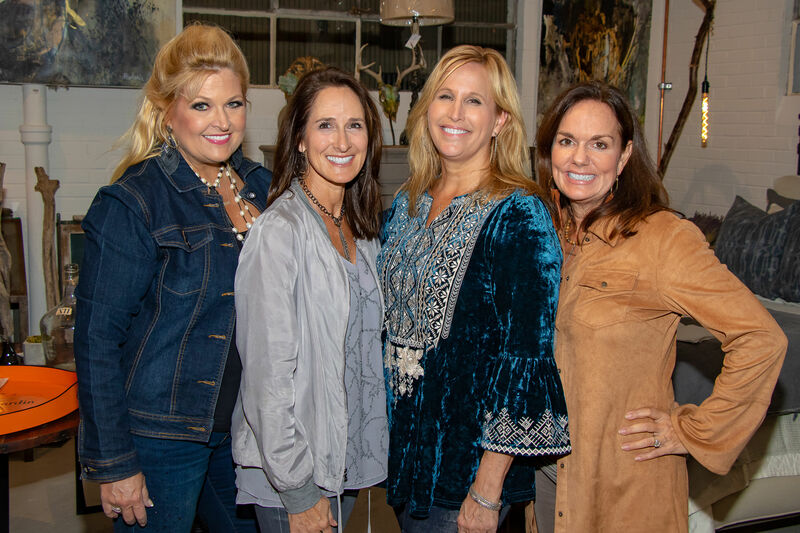 Usually I go in with particular projects in mind, so it was neat to focus on the new collections with vendors and to not only see what was new but hear the stories behind the designs," says Flanigan. It looks like once again Pantone has correctly trend-spotted an emerging color scheme, with it's choice of the ethereal Serenity and Rose Quartz shades for 2016. 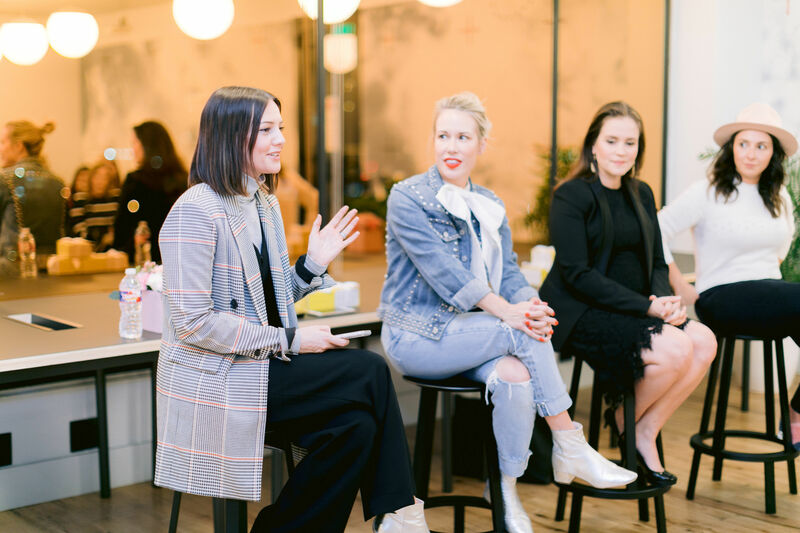 "One theme I was seeing was the soft side of spring—spring colors in an earth tone kind of way, [like] blush and lavender. It was a very organic palette; muted, with feminine lines, a lot of curves and softer silhouettes, most of it done in a very tailored, clean way for a softer look," says Flanigan. 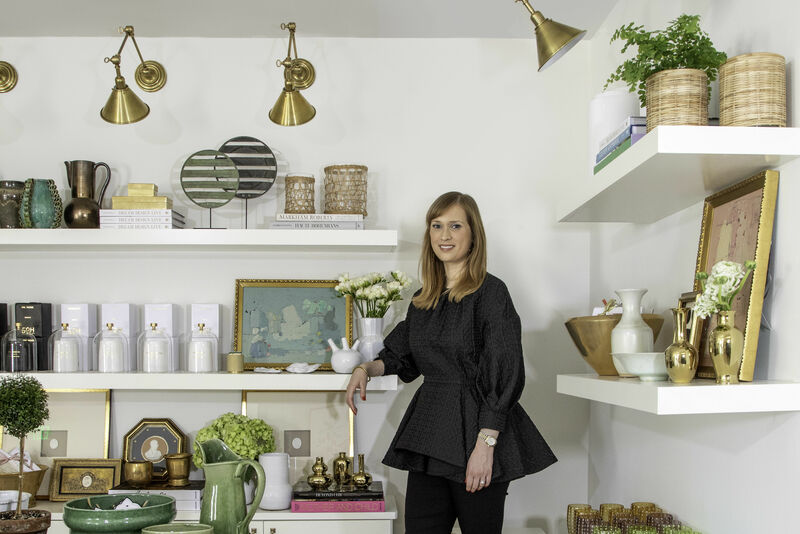 "Another big thing is mixed metals—we're seeing brass and gold still, but also polished nickel and silver coming back, and there's a new metal finish—white plaster. 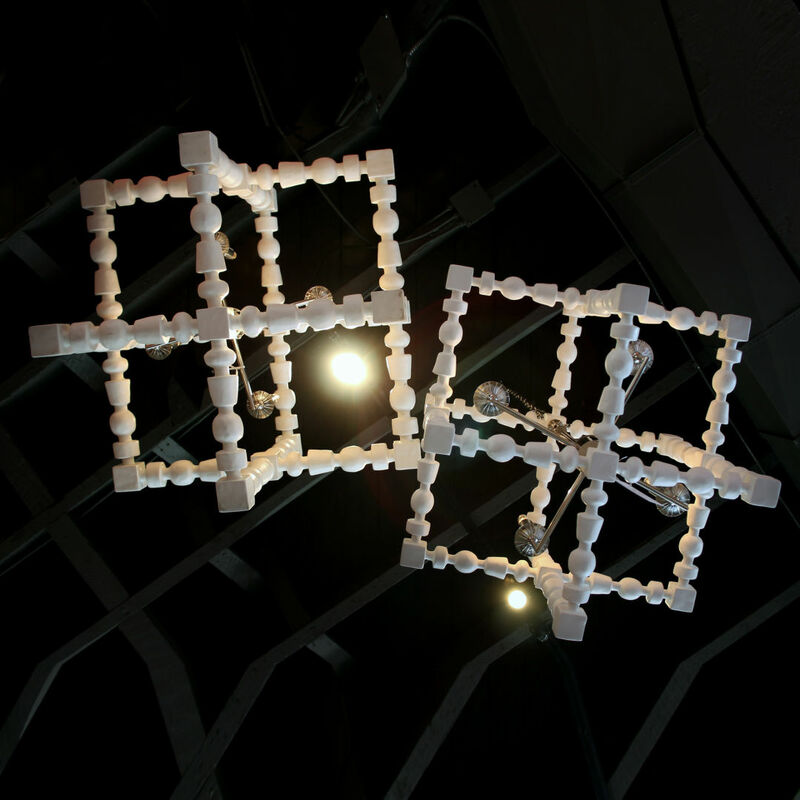 I saw a lot of light fixtures in white; it's that very organic finish, as well as beds and chairs made out of it. Some manufacturers were worried about the durability of plaster used resin made to look like plaster," says Flanigan. 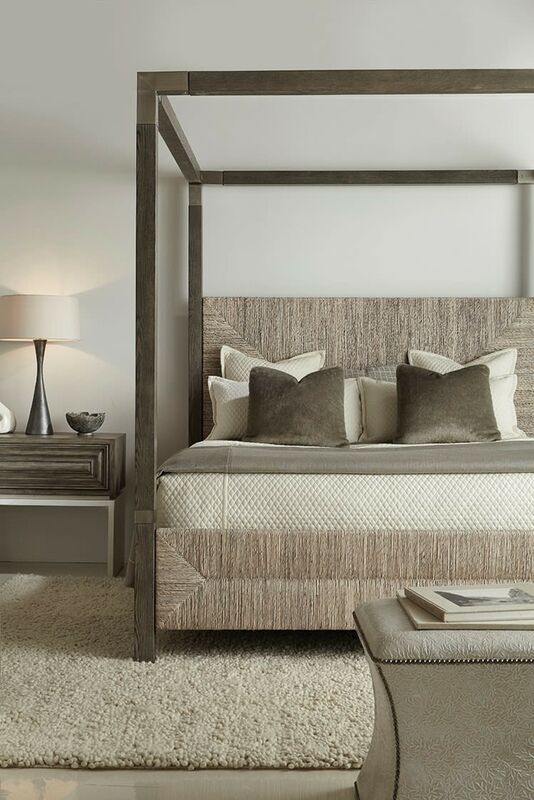 "I love the new Bernhardt collection, especially the Palma bed—they used white plaster in the entire collection and it felt to me so California chic." 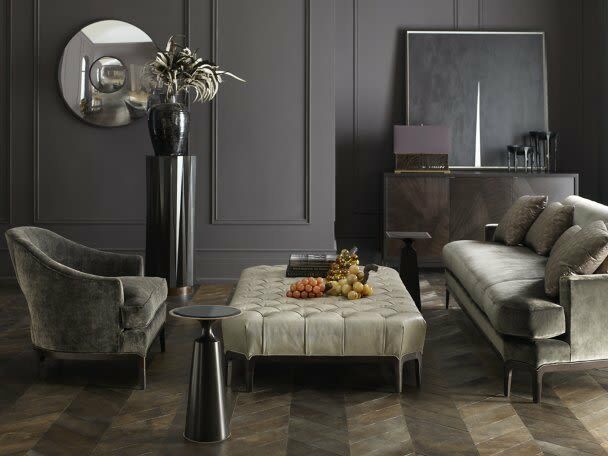 The burled wood of the art deco period, classic campaign furniture and other vintage looks were front and center at High Point, often updated with contemporary materials or textures. "The recreation of historic pieces—mid-century modern is still strong—is one classic thing I was attracted to," says Flanigan. "We spotted one chair at Worlds Away inspired by a Pierre Jeanneret 1950s office chair." "I was definitely seeing a trend in stain-resistant fabric in almost every collection. The sponsor of the whole show this season was Crypton [a stain-resistant fabric manufacturer]. We're seeing it with our clients, too. They want their homes to be elegant and stunning but they also want them to be livable and they have kids. Across the board people are making things more functional. 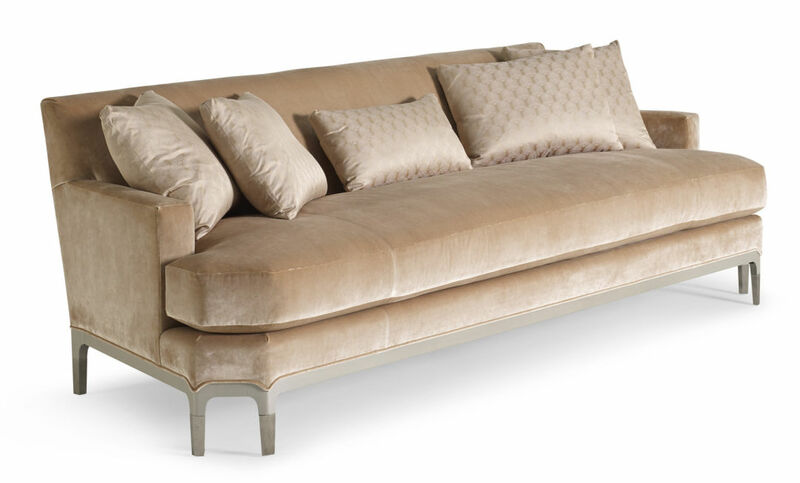 It was incredible to hear this high-end French designer say his sofa that looked like velvet is 40 percent polyester so it doesn't crush," says Flanigan. 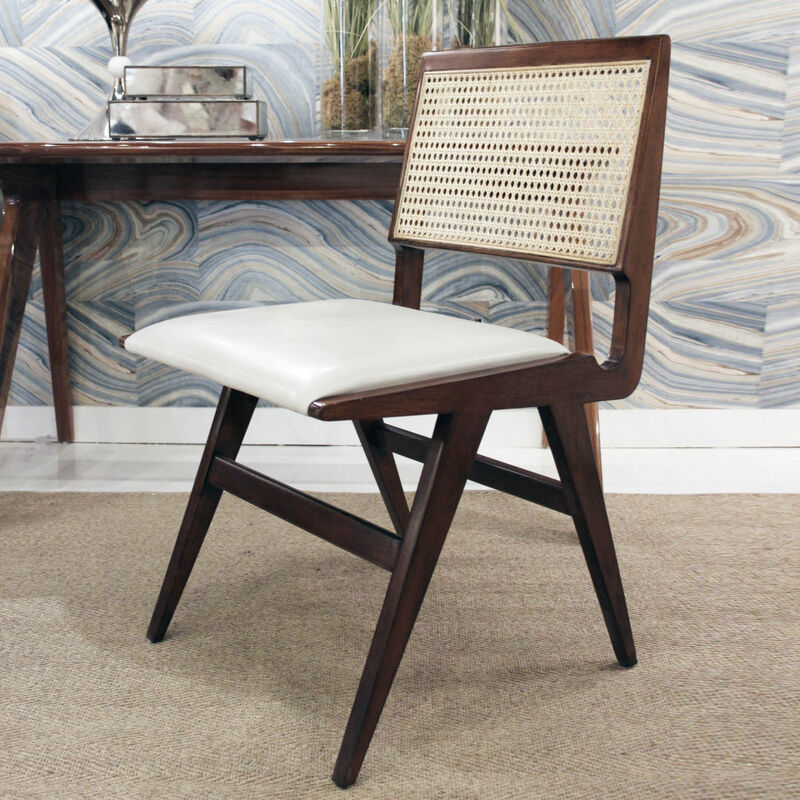 "Natural texture in general—cane, rattan, abaca. I, as a designer, am very attracted to it... Case goods were even getting more texture by upholstering, by lacquring, putting texture behind glass—Kate Spade did that, the front of the cabinet was wallpaper but behind glass. You could do that with anything you could dream up," says Flanigan. "We were seeing different techniques, including a lot of wire brushing, which helps wood grain pop more." "One of the pieces I really loved—my first spot, actually—was this beautiful piece, it's a mix between organic and contemporary. The company takes trees that have fallen, they don't cut any down, and they make these contemporary consoles. Every one is unique and different," says Flanigan. 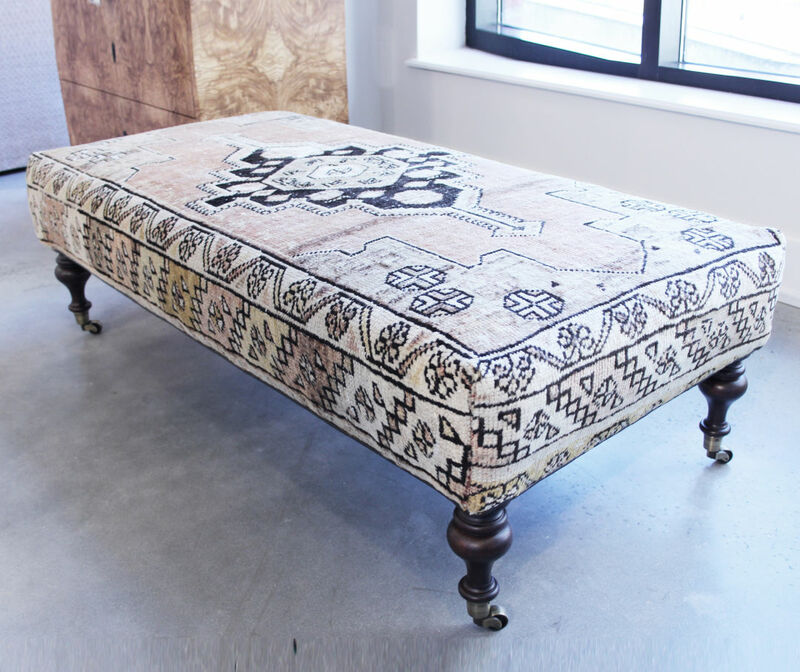 "There were also these Oushak rugs [repurposed as ottomans]—I loved that, it's great for someone who doesn't want a whole room of Oushak but brings in that traditional feel and texture, not to mention color and pattern." 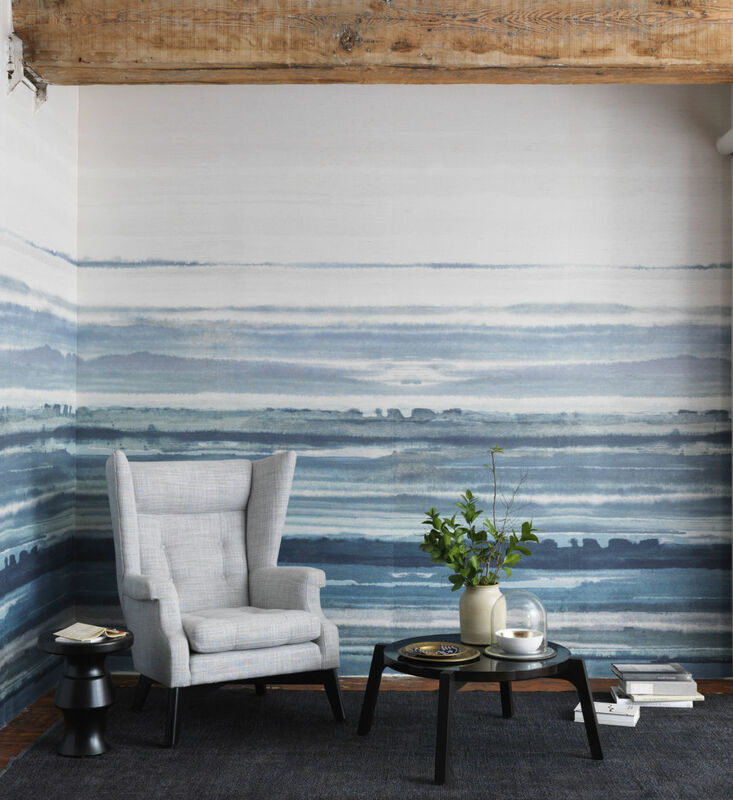 Flanigan raves about an organic striped wallpaper by Philip Jeffries that looked more like a mural and less like what we think of as traditional wall coverings: "It's such an art piece by a watercolor artist, this beautiful painting reproduced large scale. It comes in different textures, you can print it on seagrass or rice paper, it comes in different colors, although I love the blue, and you can even flip it upside-down," says Flanigan. "It's such a cool way of doing art. All over Instagram are all these beautiful large-format florals that are stunning. I have this amazing vendor who takes artists' work and makes wallpaper. The name is Area Environments. 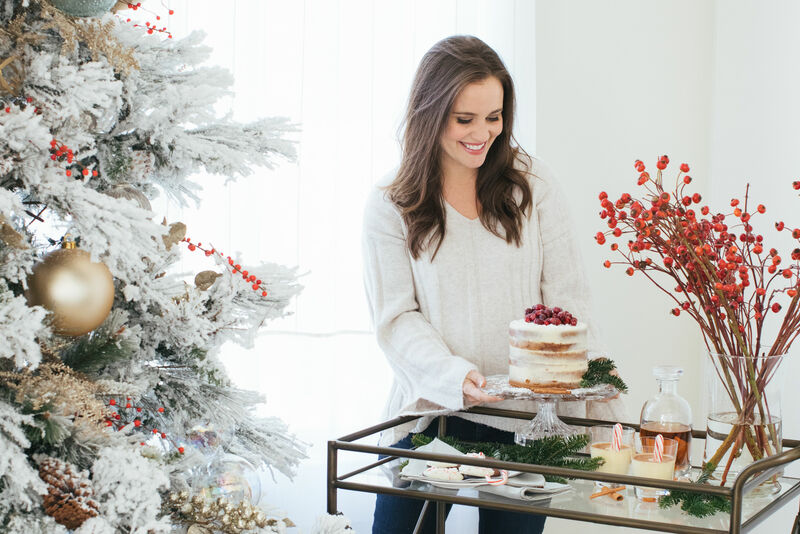 It's definitely a wow, an impact, from all cream with geometric lines to full-blown huge florals."